Look for the american flag for prouducts proudly made in the USA! 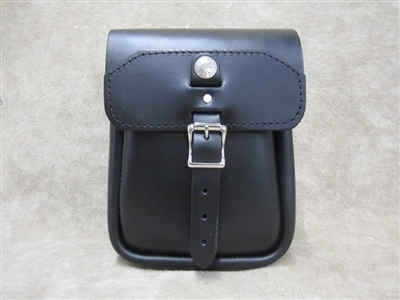 The 99X leather sissy bar bag is designed to attach to the sissy bar on the rear of the motorcycle. The sissy bar bag does not require a luggage rack and will sit above the rear fender of the motorcycle. An extra 3″ was added to our 99 Leather Sissy Bar Bag for extra storage. The bag opens with a quick release buckle. All straps required for attachment of the sissy bar bag are supplied with the bag. 10"H x 8"L x 4"
© 2015 Phoenix Motor Leathers. Built with Volusion.